Sarah, I appreciate your ministry and read your testimony. I came to God initially as a searcher and made a leap of faith from what seemed to me logical eclecticism i.e. all religions lead to or at least can lead to God. The only conflict with that belief is the Bible! I accepted Christ by “coming through the gate” of John 10. I since have come through the Cross as a major sinner – yuch, but praise the Lord for His forgiveness. I love Him much more now – through the Cross. So, moving on to my question: Panentheism- what do you know or think about it. I do not believe in “Process Theology ” which Panentheism (not pantheism) is associated with (ex. Whitehead). Why I entertain Panentheism is that I have trouble with “creatio ex nihilo” as being Biblical (and obviously does not fit into the 1st Law of thermodynamics). I would much prefer orthodoxy to state “creatio ex logos”. I do not believe God made creation from absolutely nothing. I believe it is from His Word… His breath… ex logos is substantial not nothing. God created the universe from His own substance – by speaking. Our own words are not “out of thin air” but have a source of energy behind their creation… it is a source of energy that is both “imminent (our breath, sound vibrations and physical shaping of words with our mouths) and “transcendent” (our mind and thoughts). There is obviously much more to this topic, and it is not without it problematic issues, but what do you think – about Panentheism – biblically and scientifically?” P.S. Pantheism also seems to fit nicely into the Kalam cosmological argument and it counter argument (God vs Nothing as the first cause). In order to understand the true meaning of creatio ex nihilo, it will be helpful for us to revisit Aristotle, who described four different types of causes to answer the “why” of things; that is, he came up with reasons for why there would be any sort of change or movement. In the case of the universe, we can consider two of those causes: a material cause and an efficient cause. A material cause is something that is determined by the material of the thing being changed or moved. For instance, paper would be the material cause of a book. An efficient cause, on the other hand, is external to whatever it is that’s being changed or moved and is the agent of that change or movement. For instance, the efficient cause of a book would be a writer. Creatio ex nihilo, the idea that God created the universe from nothing, means that: a) God is the efficient cause of the universe; and b) there is no material cause of the universe. From a theological point of view, creatio ex nihilo stands in opposition to the idea that God established the universe by making it from eternally existing matter (a material cause). Traditional Christian theology rejects the latter. Christian philosopher William Lane Craig, who has written deeply on this topic, points to Augustine who says that God, as the ultimate Being, “did not work as a human craftsman does, making one thing out of something else as his mind directs…. [his] Word alone created [heaven and earth]” [John 1:1-5]. This is supported by the distinction between the Hebrew words for “create” and “make” in Genesis. The word for make, asah, means to refashion from previously existing material, and it is used to describe the emergence of structure in the universe following its creation, things like the galaxy, stars, planets, and so on. The word for create, bara, refers to something that is an utterly new creation. Bara appears only three times in Genesis: once for the creation of the universe, once for the creation of the nephesh, or animal soul, and once for the creation of the human spirit, the neshama. What all of this suggests is that creatio ex nihilo is synonymous with creatio ex logos. The universe was an entirely new creation, not something that was made out of pre-existing stuff. Now, while I’m not aware of any reason that the physical conservation laws must apply to the creation of the universe, I think you’re right that it violates some sense of conservation to have a universe appear out of absolute nothing. So, while creatio ex nihilo rejects the idea of eternally existing matter from which God shapes the universe, it does embrace the idea that God’s Word is the something from which the universe was created. This is entirely consistent with what’s been observed in physics. I found it wonderful how in 1:27 the word bara’ is used three times in the creation of man in God’s image. Certainly the crowning marvel of His creation. You pointed out the difference between bara’ and ‘asah. I was also struck by another word that is used many times. Hayah. “To become”, “Let there be.” For example, vs 3 “And God said, Let there be light; and there was light.” As I understand it, the word hayah is showing a progression of creation that ‘Elohiym has set in motion through bara’. In this case the formation of stars. Is this how you see it? Thank you for your time. God’s Realm is not understood to be a closed/isolated system as the material Grand Universe is understood to be. The 1st Law of Thermodynamics only applies to what God created, a now immense isolated system beginning at the Creation Act where all matter/energy derives. Applying a Law requiring isolation to a pre-beginning non-isolation invalidates that Law in such circumstance. PeterW. Point on. Closed/isolated system. Don’t think that however hard I try will I find God’s Throne in this His created universe. The ancient biblical scholar Nahmanides said that the six days of creation (Genesis 1) contain “all the secrets and ages of the universe.” In other words, Nahmanides was claiming Genesis 1 as a work of scientific literature. “SixDay Science” is a reference to how developments in modern scientific fields like relativity, cosmology, and particle physics are supporting this claim. To promote and preserve the integrity of modern science while exploring the harmony between science and the Christian faith. Is there evidence for God? 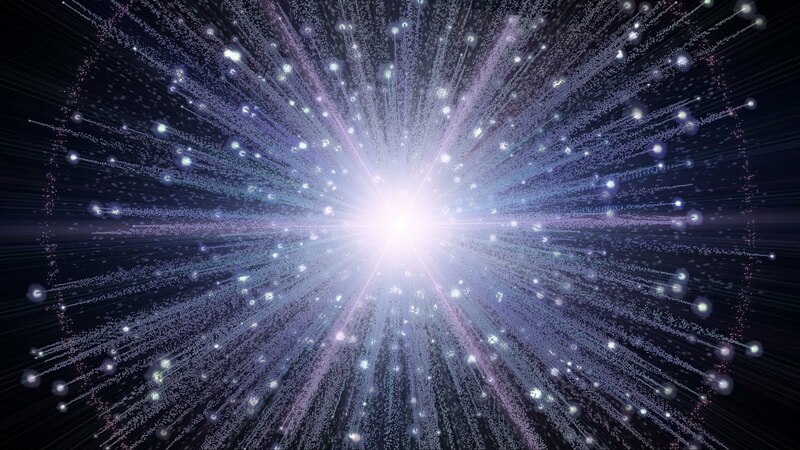 Has physics disproved the beginning of the universe? Earth-like planet kills God dead! Which god is the Creator?